A chrome essential. 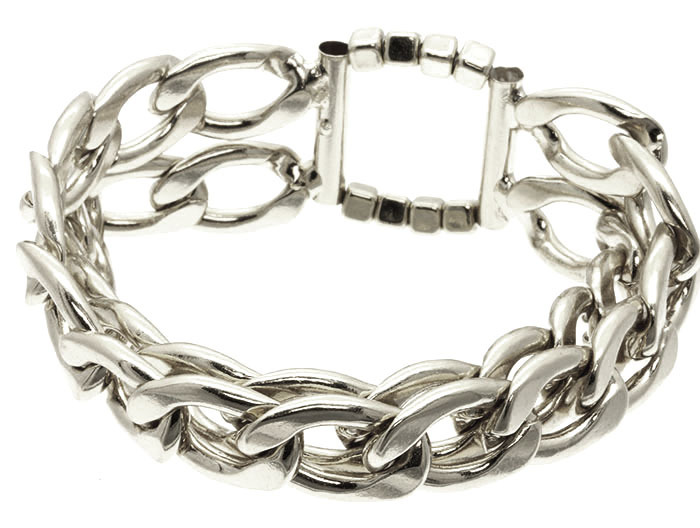 The Lily is an updated version of the classic chunky chain bracelet. A double twisted cable link in in silver plating with cube bead detailing. For everyday wear. Oz Bling's jewellery Australia offers huge ranges, simple shopping, fast shipping and superior customer service.